Born: 19 December 1836, Berlin, Germany. Died: 15 March 1918, Bloemfontein, South Africa. Bernhard Otto Kellner, medical practitioner, was the son of Reverend Friedrich Heinrich Kellner and his wife Frederika Wilhelmine Henriette, born Ringk. He studied medicine at the University of Berlin, qualifying as Doctor of Medicine (MD) in 1861 and passing the Staatsexamen the next year. His inaugural thesis, De perforatione processus vermiformis (32p) was published in Berlin in 1861. After a year as a military surgeon he emigrated to the Orange Free State, where his brother-in-law, the medical missionary C.J.G. Krause*, had already settled. He was admitted to practice in Bloemfontein in October 1863. Two years later he married Wobke Cornelia Maria Oelrich of Graaff-Reinet and they eventually had 11 children. Kellner established a successful practice in Bloemfontein, owned a pharmacy, was honorary surgeon at the Cottage Hospital from 1877, and played a leading role in establishing both the "Krankzinnigen Gesticht" (mental asylum), which later developed into Oranje Hospital, and the Volkshospitaal (later the Nasionale Hospitaal). After the death of Dr Krause in 1889 he became physician-in-charge of the asylum until a full-time medical officer was appointed in 1906. He had fairly extensive knowledge of mental diseases, supported the "no restraint" doctrine, and was a firm believer in the therapeutic value of hard work. He also served as medical officer to the Volkshospitaal and to the Leper Hospital (established in 1892), introduced training for midwives, served as the second district surgeon of Bloemfontein, and was a member of the commission that examined pharmacists. In October 1902, while on holiday in Germany, Kellner was elected as the first president of the Orange River Colony Medical Society. At a meeting in July the next year he was welcomed back and gave an account of his experience in Germany. He also served on the Medical Council of the Orange River Colony to 1906. As a result of his contributions in a territory with few medical facilities, and perhaps because he was the first properly qualified doctor to practice in Bloemfontein, he has been called the father of medicine in the Orange Free State. When the honorary curator of the National Museum of the Orange Free State, Dr H. Exton*, went on an extended visit to England in 1883 Kellner was appointed acting curator, but he resigned after a few months and was replaced by Dr Krause. Six years later, in April 1889, he was again appointed honorary curator, succeeding Dr Exton. 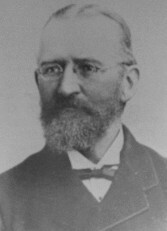 During his curatorship the museum was much improved, partly as a result of the appointment in 1892 of Max Rossteuscher* as supervisor of the institution. Palaeontology, mineralogy and ornithology were particularly well represented, but new collections of cultural artefacts such as coins and postage stamps were also formed. In November 1907 the post of curator was expanded to include the chairmanship of the museum's management committee. Kellner remained in his post to his death in 1918. He was a member of the Bloemfontein Debating Society, formed early in 1877 and soon renamed the Bloemfontein Literary and Scientific Society. In March 1880 he delivered a lecture on "Lightning" before its members, which was published in the Orange Free State Monthly Magazine (Vol. 3, pp. 337-350). In 1896, shortly after the formation of the Geological Society of South Africa, he was elected an honorary member of that society for some years. When the South African Association for the Advancement of Science met in Bloemfontein in 1909 he read a paper on "The National Museum of the Orange River Colony" and became a member of the association. In addition to his medical and museum activities Kellner led an active political life. From 1874 to 1883 he acted as German consul. Between 1882 and 1892 he was a member of the House of Assembly from time to time, representing Fauresmith, Ladybrand and Hoopstad, and served on several commissions. He was also Mayor of Bloemfontein from 1891 to 1896, and again from 1898 to 1902 (including the Anglo-Boer War). He was furthermore chairman of the Orange Free State Fine and Industrial Arts Society, which organised the first art exhibition in the territory in 1893. Badenhorst, A.R. Gesondheid en die mediese professie in the Oranje-Vrystaat, 1864-1871. South African Journal of Cultural History, 1992, Vol. 6(1), pp. 19-24. Bloemfontein Debating Society. Inaugural address delivered by the chairman, Mr Justice Buchanan.... Bloemfontein: "Express" office, 1877. (University of the Free State, Africana Library, pamphlets Box 117). Coetzer, A.C.M. Geskiedenis van die Nasionale Museum, 1877-1911. Navorsinge van die Nasionale Museum Bloemfontein, 1989, Vol. 6(8), 244-285. Free State almanac and trades directory. Bloemfontein: Barlow Bros, 1893, 1895. Geological Society of South Africa. Transactions, 1897, Vol. 2; 1899, Vol. 4: lists members. National Automated Archival Information Retrieval System (NAAIRS). http://www.national.archives.gov.za/naairs.htm Documents relating to Bernard Kellner / B.O. Kellner / Dr Kellner. Orange Free State Monthly Magazine, May 1880, Vol. 3, lecture by Kellner. Orange River Colony. Civil service list, 1904, 1905/6. Orange River Colony. Report of the commission of enquiry with regard to institutions in Bloemfontein receiving government support. Bloemfontein: Argus, 1901. South African Association for the Advancement of Science. Report, 1909, paper by Kellner; 1910, list of members.